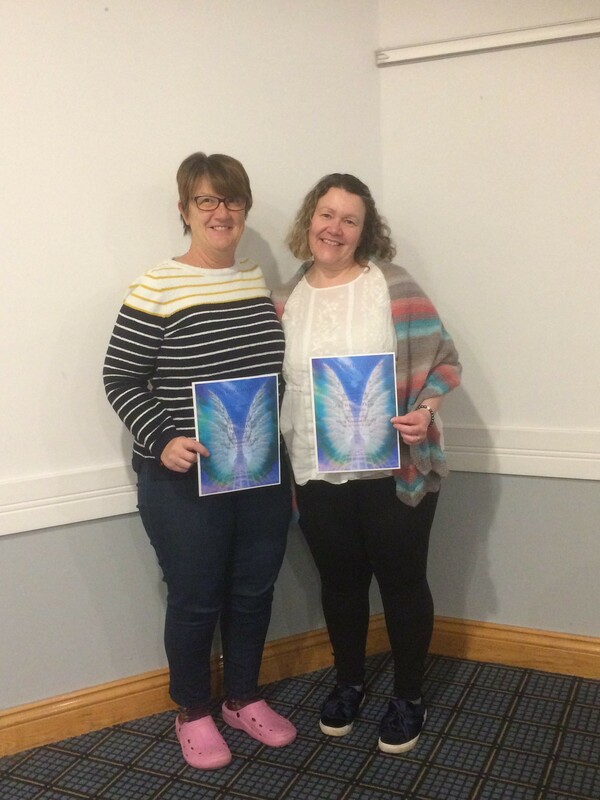 We gathered on Friday 5th April 2019 at the Holiday Inn, Junction 40, Ossett, West Yorkshire with much excitement, looking forward to spending a weekend with the Angels. One of the Ladies had been waiting for 13 years to take the course. She had put her dreams on hold while bringing up her family. The group gelled together straight away, receiving their first attunement. They left for the night all smiley and happy. A busy day on Saturday, the second attunement is received. After a delicious lunch in the restaurant we proceeded with the Angelic Healing. There are a number of different of Modalities to use within this beautiful healing. More healing on the Sunday 7th April 2019, every one was amazed at the different energies they could feel through the different healing practises. The course concludes with the most amazing attunement with the Angels, Archangels, and Throne Angels, each bringing their special qualities with them. You receive a certificate and a Master Crystal along with a Manual to began your Angelic Healing Journey. There is no feeling alike it – A student from my last course shared her experiences with the group, she said ” it has changed my life for the better, my relationship with my family, I am happier, things are moving in my life, opportunities are presenting themselves, I never would have thought. Its amazing. If you would like to receive the attunements to give Angelic Reiki Healing, please contact me, Anne Elizabeth Woodcock on 07966 302468 or use the contact form.